A police officer was driving along on Tuesday when he heard barking - and he couldn't believe where it was coming from. 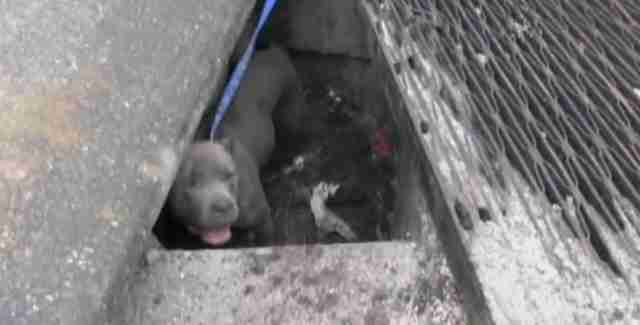 Officer Matt Rush of the Cocoa Police Department in Florida was quite surprised when he discovered that not just one, but three pit bulls were all trapped together in a sewer drain. "How did they get in there, and how did I hear that?" were Officer Rush's initial thoughts, he told WFTV Channel 9. 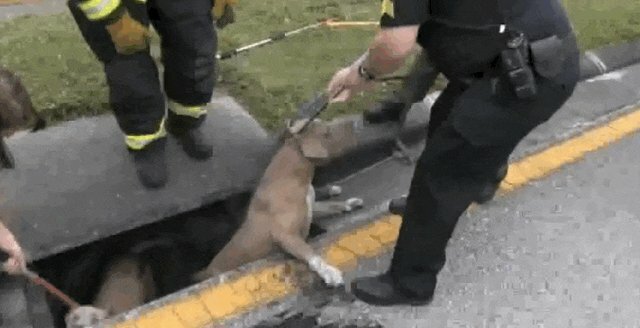 Police assume that the three dogs entered the sewer through a manhole across the street ... but then got themselves stuck and couldn't get back out. The three mischievous friends were barking for help, once they realized their predicament. 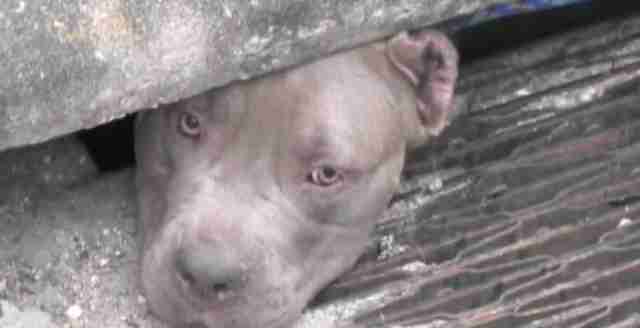 Brevard County Animal Services was called to come and rescue the dogs, but they were so stuck that firefighters ended up having to come and help out. 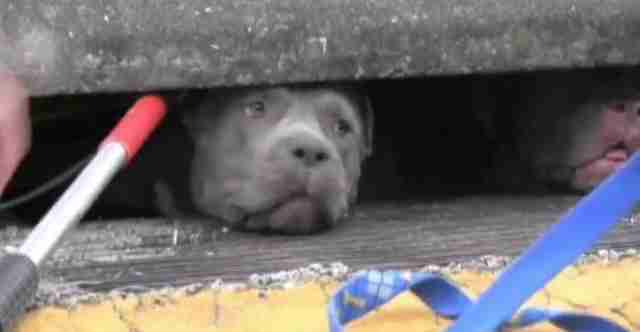 The curious and probably slightly panicked dogs kept trying to poke their heads out of the drain while their rescuers worked to free them. ... they were finally free. It took one of the pit bulls a little longer than his friends to finally jump out, but once he realized it was all OK, he gladly followed the others. 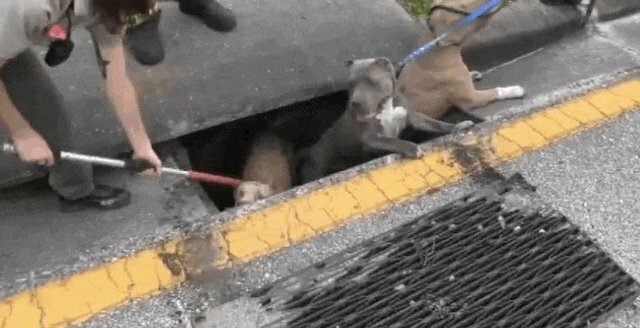 While excited to be free, the dogs stuck close by each other once they were out of the sewer, still apprehensive of what was to come. All three pit bulls were taken in by the Brevard County Animal Services while they try to locate the family of the pups. The dogs will be held for five days before they're put up for adoption, a volunteer with the shelter told The Dodo.